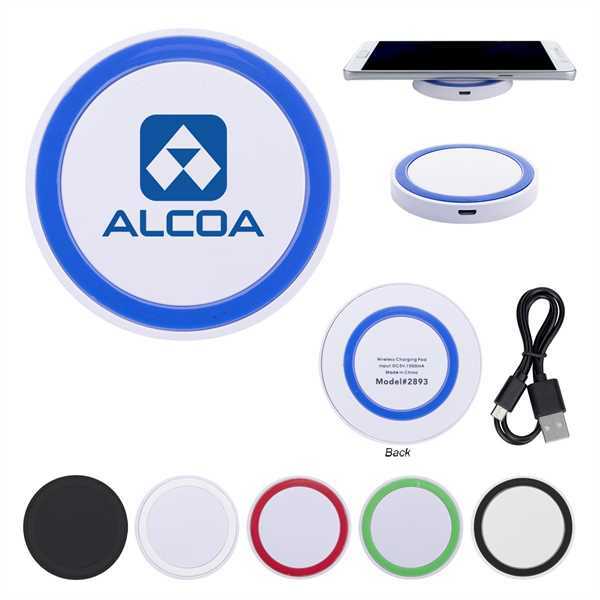 Keep your customers coming back for more when you give them this fantastic wireless phone charging pad! It allows Qi-enabled devices to charge wirelessly by simply placing it on the surface. This features an indicator light, a micro-USB input with a cord included, and an output of 5 volts/1 amp. This comes in several colors, so imprint it with your direct or silkscreened logo and have customers pick their favorite for a supercharged promotion! Imprint Size:1 1/2", 2 1/8"